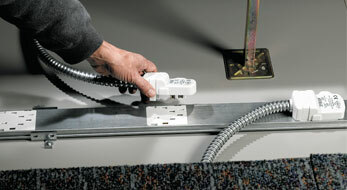 Snake Tray is pleased to announce Snake Connect, its newest power distribution system for access floors. Snake Connect provides a complete line of 20A (US) / 32A (Europe and UK only) modular wiring devices for raised floor applications. 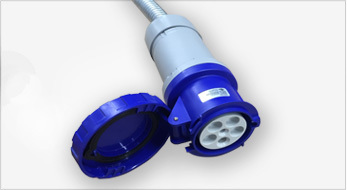 The ease of use and plug-n-play circular multi-pin connector provides fast installation, easy reconfiguration or relocation of power services and significant labor savings over conventional pipe and wire installations. The slim profile allows it to fit in floors as shallow as two inches. 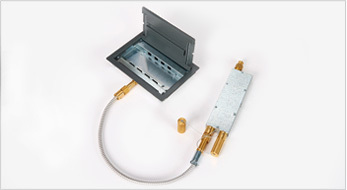 The connectors are factory assembled and have a positive tab location to ensure secure and safe connection. 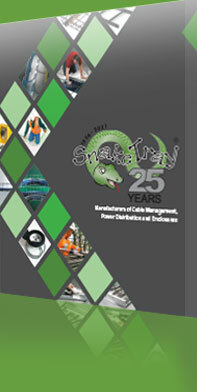 Snake Tray also manufactures a series of boxes to compliment the system.